Any trade, any place, any time! 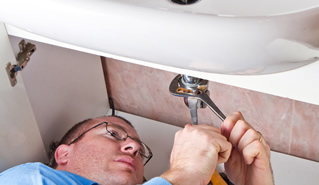 Plumbing is the core service that we have been offering for more than 10 years with an established reputation for quality, service, and customer satisfaction. 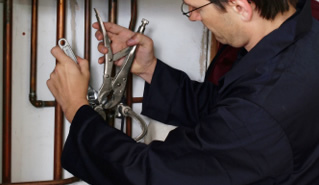 We offer a highly professional service across Scotland with a team of experienced and qualified plumbers who are available 24 hours a day and we guarantee to solve everything from a plumbing related problem to the design and creation of new bathrooms or kitchens. 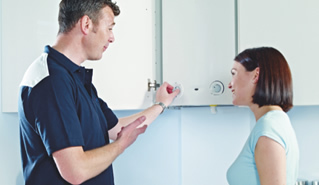 We at MPH Home are confident that our 10 year warranty on all boilers is based on product reliability, longevity, and the fact that we’ve had fewer breakdown call outs than any of our competitors. As Scotland’s trusted independent heating and boiler (gas and electric) installer MPH Home provides a 24 hour service for all your heating requirements. Our 10 + team of Gas Safe (CORGI) registered heating engineers undertake all types of breakdown repairs quickly and efficiently including fault finding and diagnostic solutions. We design and install complete systems and can repair or upgrade your existing system wherever possible. MPH Home’s team of central Scotland electricians are fully qualified to carry out all types of domestic electrical work from a new plug socket to a complete, or partial, rewiring of your property professionally and efficiently. Our 10 + team of Gas Safe (CORGI) registered heating engineers undertake all types of breakdown repairs quickly and efficiently including fault finding and diagnostic solutions. Our work is fully insured so you can have complete piece of mind when taking on our services. We are available to help fix any problem you may have 24 hours a day, 7 days a week. Call us now! All the work we undertake is guaranteed to give you complete piece of mind. Most of our business comes from word of mouth from our previous customers.